When my husband and I got engaged, it was only natural that the theme of our wedding and all related celebrations has been One Love. We aren’t wealthy people; we live a modest lifestyle, and we enjoy life most when we’re sharing joy and happiness with others. So when it came time to start planning a wedding, it started feeling a little uncomfortably selfish. I’m not one who loves the spotlight, and I never really understood the whole bridezilla concept. Honestly, I just wanted to marry my best friend and throw a really killer party to celebrate that love. A good friend of mine gave me some very sage advice as I was struggling with the selfish feelings I was having during my wedding planning, where it was all about my dress, my shoes, my hair… ugh! I just didn’t care. She said to me: Love isn’t selfish when it’s real. It grows and affects everyone around you and spreads happiness to the world. It inspires others to love and be loved. True love is unselfish and a wonderful thing. 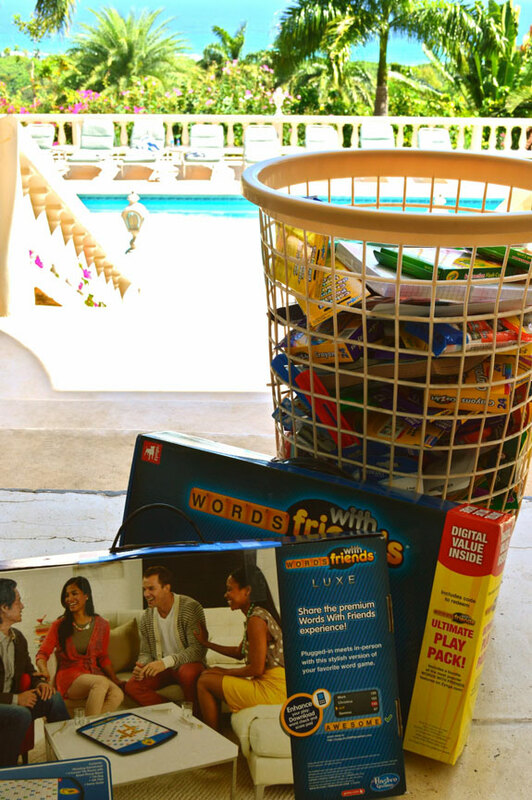 And then, as we started planning our wedding in Jamaica, we were made aware of Pack for a Purpose. And that’s when it all started feeling right. My marriage stopped being all about me and started being all about how a group of people can collectively come together, share in something beautiful, and spread that love and compassion throughout the world just a little bit more. 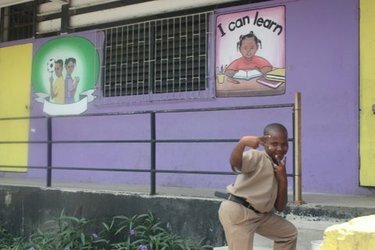 We had 20 people who travelled to Jamaica together in April 2013, and almost everyone in our group brought a little something to donate to the Barrett Town All Age School near Montego Bay. I was overwhelmed by the response from the people in our group. This simple act of giving became such a happy focus of our trip that it became a big subject of our wedding planning! People kept asking me over the months of planning what school supplies we could bring and if we could meet the children that we’re donating to. 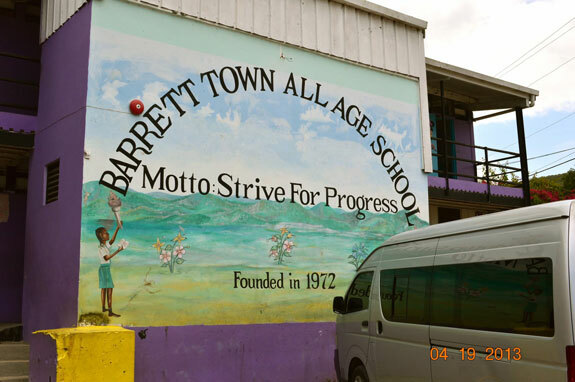 PfaP was so wonderful in helping us arrange for our group to visit the Barrett Town school. And it was an amazing and humbling experience for us all, especially my 12-year-old son, who was with us in Jamaica. Our driver took us to the school, where we delivered a laundry basket full of school supplies and games for the children. As we pulled up in the van, we were greeted by the school’s principal Mr. Eleraton Blair and several children. Mr. Blair was excited to see us, and it was as if we were greeted by an old friend. It was a warm welcome. Being conscious of the children’s school day, we wanted to be respectful of their time and not disrupt their day, so we asked Mr. Blair if we could just drop the supplies off and be out of their hair. Well, they would not hear of that! He wanted to show us his school and introduce us to his students. We placed the supplies and games in his office, to be distributed to the classrooms as needed, and Mr. Blair took us on a quick tour of his school. Because we were a somewhat large group, we split up, and each of us visited a few of the classrooms. As we entered each of the rooms, the children all stood up and in unison and said Hello visitors! Welcome to our school! We are happy to meet you! We were all amazed at how well behaved and polite the students were. This in itself was an eye opening experience. The students were kind, respectful and genuinely happy to see us, and they seemed genuinely happy to be in school. It was a refreshing scene and really made me think of the things our children take for granted in our country. The impact on my son was probably the most valuable part of the entire experience for us. My son is a blond-haired, blue-eyed boy, which is probably something that these children didn’t see much of. As children often do, he instantly was drawn to a couple other boys his age, and they started chattering about, well, whatever boys talk about. Instant friendships seemed to be formed right there, and we even snapped a couple photos of my son and his new friends. What was really interesting is that the children were all petting his hair, touching his skin and remarking on how soft his hair felt. Jacob, my son, just smiled, and in some way I think he completely understood the differences and similarities that they were all seeing in each other. In that moment, I know that my son understood what I’ve always tried to teach him – that we’re all unique, we’re all different, and that is a beautiful thing, but that no matter how different we are, all beings deserve compassion and love, and in that way we’re all the same. It was One Love all wrapped up in that beautiful moment, watching the children laugh and smile and simply enjoy each other’s company. We thanked Mr. Blair for the opportunity to share what we could with his students and for letting us meet the children and tour his school. As we left, you could definitely feel in the air what we were all thinking – we live in a world of many privileges and many opportunities. To be grateful for that and to give to others whenever possible is so very important, and it feels so good. Knowing that the love between my husband and I could spark something so beautiful only gives me more motivation to do more good in the world, and I know our friends and family are on board! Thank you PfaP for creating such a great opportunity for people to practice generosity and compassion and help so many people around the world. Every time we travel, we will now look for the opportunity to share the One Love spirit wherever we go!